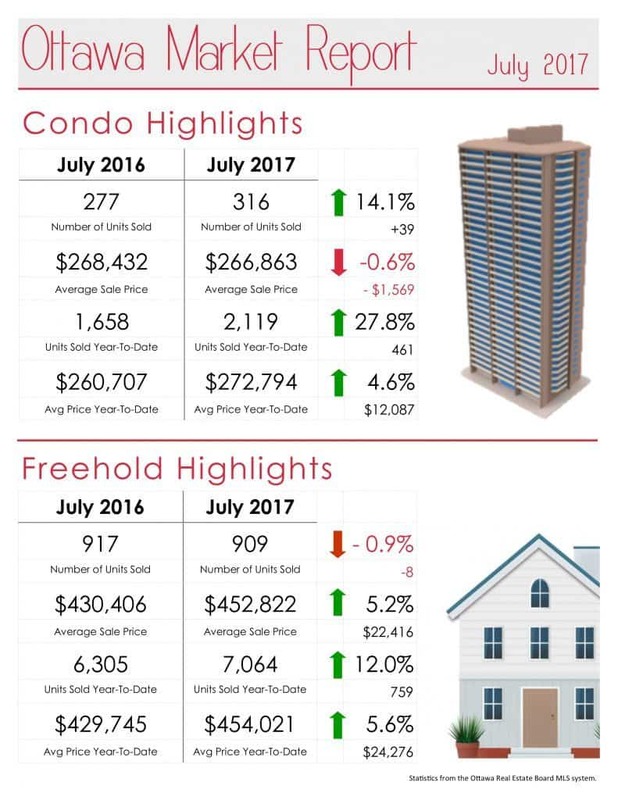 2017, to the end of July, has certainly been a good year for real estate in Ottawa. Year-to-date, the number of homes sold is well up over the same 7 months in 2016. 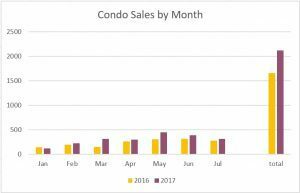 Condominiums in particular enjoyed a dramatic increase in the number of sales during this period. 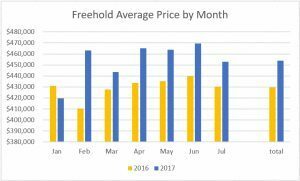 While the summary shows a tiny drop in average price July-over-July, you can see by the monthly chart that June was way up over 2016, and the year-to-date average is up over 2016, so it’s really just a blip. 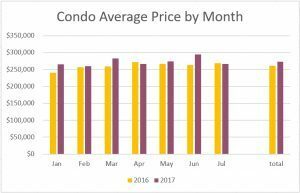 That’s great news for condo owners, as the Ottawa market has been relatively stagnant since the federal government started fiddling with mortgage rates in 2011. Note that many of the new condo developments have been delayed, which will of course encourage people who are ready to buy to look at resale. A healthy market has a mix of new and resale, and Ottawa appears to be at that point – at least during the period examined here. 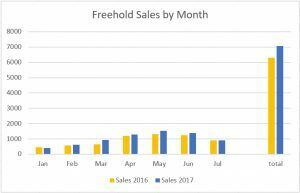 The second down arrow on the chart, number of freehold properties sold in June, is another little blip. Given that the year-to-date shows an increase of 12% for the 7 months, being down a tiny bit in July is not a huge surprise. We’re happy to answer any questions you might have concerning this or any other real estate topic – just contact us.